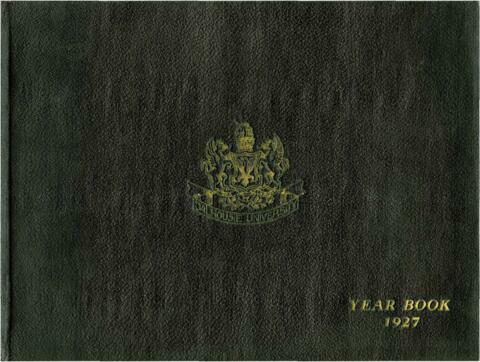 Item is a 1927 Dalhousie University yearbook, 82 pages, black and white. Yearbook contains images and text regarding Dalhousie University and its graduates, faculty, and buildings on campus. This is the first yearbook created by the students of Dalhousie University. Six duplicate copies of the 1927 Dalhousie University Yearbook are in storage (Duplicate MS-1-Ref, Box 1).